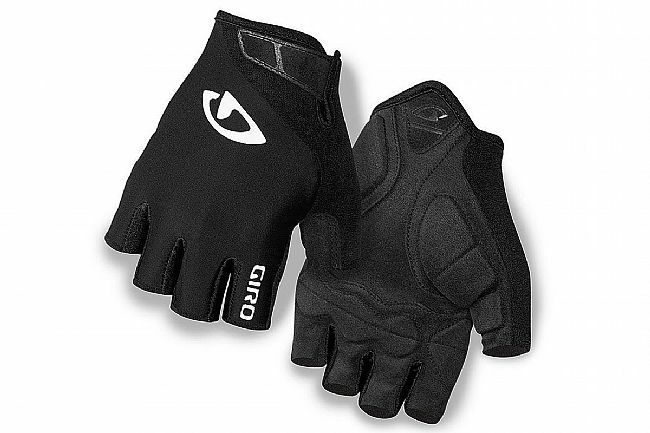 The Giro Jag glove provides a lightweight, breathable glove perfect for riding in the height of the summer heat. Featuring a breathable lycra upper, this glove hugs the curves of the hand to wick away moisture and use it as a cooling agent. The microfiber palm features lightweight padding to reduce the jarring effects of road vibrations and simultaneously improve grip. A microfiber wiping surface located on the thumb allows for a irritation-free wiping surface, while the hook-and-loop strap allows for quick entry and exit from the glove.